Future Business Leaders of America (FBLA) is the premier organization for student leaders preparing for careers in business, management, entrepreneurship, and information technology. For more than 60 years FBLA has been the place where 4 million students have found the keys to unlocking the doors to career success, personal achievement, and business leadership. Through FBLA's motto of SERVICE, EDUCATION, and PROGRESS 250,000 students across the world and nearly 3,000 in Oregon participate in innovative leadership and career development programs on the local, district, state, and national levels. We are the place where America's business finds its leaders! I believe the future depends on mutual understanding and cooperation among business, industry, labor, religious, family and educational institutions, as well as people around the world. I agree to do my utmost to bring about understanding and cooperation among all of these groups. I believe every person should actively work toward improving social, political, community and family life. I believe every person should take responsibility for carrying out assigned tasks in a manner that brings credit to self, associates, school and community. FBLA - What is it? Future Business Leaders of America (FBLA) is a student-based organization that is an integral part of the business and office educational instructional program. This organization offers additional opportunities to develop leadership and personal development skills to students who have an interest in the American Business Enterprise system. FBLA Chapters are located throughout the state among the various cities and rural high schools. Chapters can be found throughout U.S. high schools and some middle schools, as well as Department of Defense Dependent Schools (DDDS). FBLA is important to the individual student, the school, local businesses, and the community. In the past 30 years, FBLA members have raised over ten million dollars in a partnership with the March of Dimes. 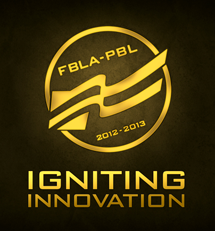 FBLA has approximately 215,000 members worldwide, making it the largest student business organization in the world. Any student who is originally enrolled in a business or business-related class can join FBLA. In classrooms throughout the country, students form their own chapters and elect officers. Business education teachers/coordinators serve as individual chapter advisers. FBLA chapters are generally self-supporting by raising money through chapter fundraisers, thus helping members to pay for chapter, state and national dues and conference fees. Why is FBLA important to the business community? FBLA members are encouraged to actively involve themselves in community projects. By doing so, they not only help improve their communities, but each member develops business leadership skills, strengthening their confidence and improving their understanding of the American Enterprise System. These experiences help FBLA members achieve their personal career goals. Some FBLA chapters operate actual functioning businesses as part of their FBLA experience. Why are FBLA activities important to your school? FBLA chapter activities contribute substantially to the primary purpose of school-- to develop well-educated citizens who have developed self-confidence, self-esteem, leadership ability and an understanding of the American Business Enterprise system. FBLA chapters are customarily "showcases" for student achievement and progress, reflecting favorably on teachers, FBLA advisers, and school administration at both local and state levels. How can being a member of FBLA help me to attain my graduation requirements? FBLA has developed a four level achievement program that nicely ties into the requirements of Oregon's graduation requirements. While working to accomplish the four achievement levels, you are accomplishing these requirements. Plus, you will be recognized for your accomplishments on a District, State and National Level.